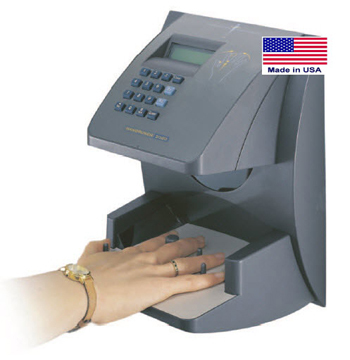 HandPunch 1000 biometric time clock. Fits nearly all time and attendance software systems. Upgrades to 100 then 512. 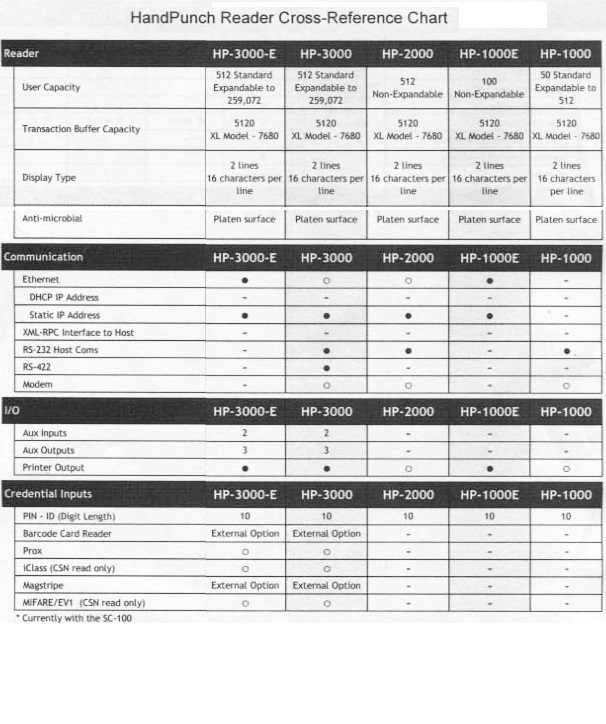 See our optional software packages. Reports include Employee Time Cards, Department hours analysis, Who's IN, Who's OUT, Who's come and gone, short and long term TARDY reports, Employee Roster, and more. Has a unique "Report Generator"
The chart below will help you understand the differences between the various hand punch models.